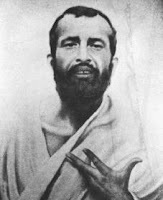 Ramakrishna’s life is unique in the annals of religious experience. Although born to an orthodox Hindu Brahmin family of India and trained as a priest, he practiced a wide catholicity of religious expression. He advocated the positive acceptance of other faiths and resolved the dilemma of religious plurality by direct experience. Vivekananda, Ramakrishna's most illustrious disciple, is considered by some to be one of his most important legacies. Vivekananda spread the message of Ramakrishna across the world. He also helped introduce Hinduism to the west. Vivekananda was a great admirer of brotherhood of Islam and unity which is unparallel and he wished that great Vedantic philosophy and Islam could come together. Indeed Vedantic teaching very much address in the level of the Haqiqat (the Inner Divine Reality) of Islam and Hindus have great things to learn from Islam.